There is so much controversy surrounding breastfeeding which is why there is so much uproar whenever a breastfeeding mom posts a picture of it. So many people don’t understand why breastfeeding moms feel the need to post pictures when they may upset people who see the pictures. A question I hear come up a lot is, “I understand the need to breastfeed, but why the need to post pictures of it?” Well in this article I listed six reasons and there may be more I haven’t thought of. 1.) Sharing a breastfeeding picture is just sharing a normal part of everyday life for some moms. People post pictures of what they had for lunch, some post pictures of them bottle feeding so why should breastfeeding be left out? Breastfeeding moms have just as much of a right as anyone else to post pictures. 2.) The more people see breastfeeding the more normal it becomes. Many moms have joined the #NormalizeBreastfeeding movement and they feel like the more breastfeeding is seen by society the more normal it becomes. A common argument in the breastfeeding community is why is seeing a woman in a bikini less shocking than seeing a mom breastfeed. It’s because women in bikinis are seen a lot more. It’s normal beach or pool attire and it’s just accepted as the norm. Breastfeeding needs to be out there. More moms are sharing that confidence with the world and the purpose is to do their part to normalize breastfeeding. 3.) It’s a way to show other moms who may not be as confident or who may feel as if breastfeeding out in the open is wrong, that it isn’t and that there are other moms out there letting them know that breastfeeding is nothing to be ashamed about and there is no reason to hide it unless for their own comfort. 4.) Breastfeeding takes a lot of hard work, sacrifice, and doesn’t come easy for all. Some post their breastfeeding pictures because it’s a proud moment in their life. They worked hard, they overcame struggles, they are proud, and just like with any other accomplishment in life, it’s something people like to share with their friends, family, and even strangers in online communities. 5.) Some post breastfeeding picture as a way of protest. A lot of breastfeeding moms face bullying both in person and online. Some will post breastfeeding pictures to show that their bullying and harassment does not bring them down and they will keep calm and breastfeed on. 6.) Some people, like myself post breastfeeding pictures as a way to show support for breastfeeding in general. Think about other things and topics in life that you support. Be it the military, a certain musician, or other important causes. You want to post about it, right? 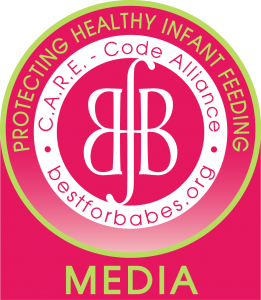 For some people breastfeeding and supporting it is very important to them and they feel inclined to share it.